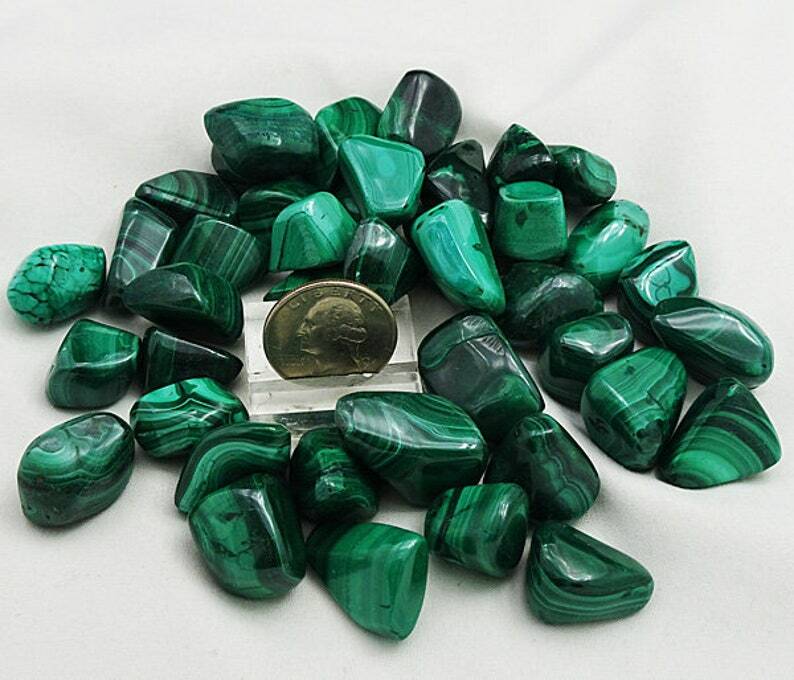 This listing is for ONE polished nugget of banded Malachite from the Dem. Rep. of Congo. Two sizes available, smaller average 2 to 2.5 cm, or about 3/4 to 1 inch, larger average >2.5 cm, or over an inch.